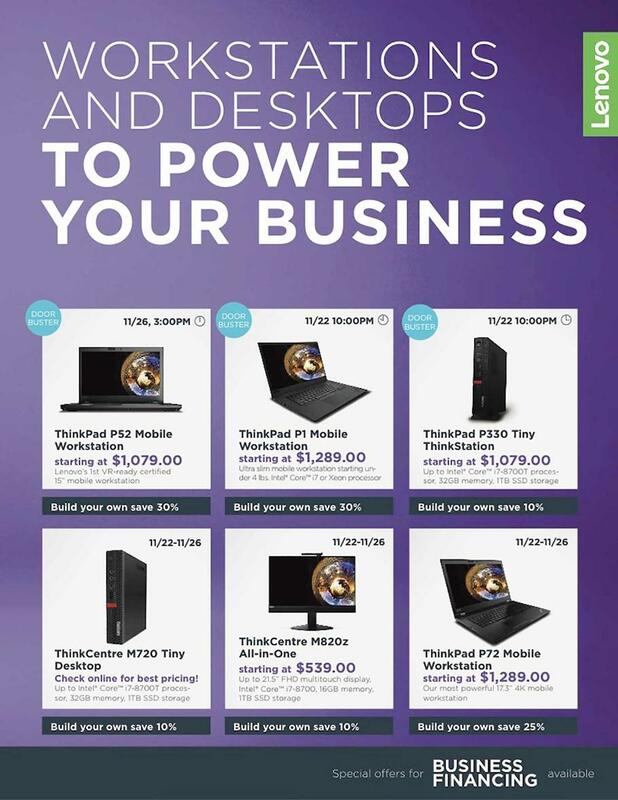 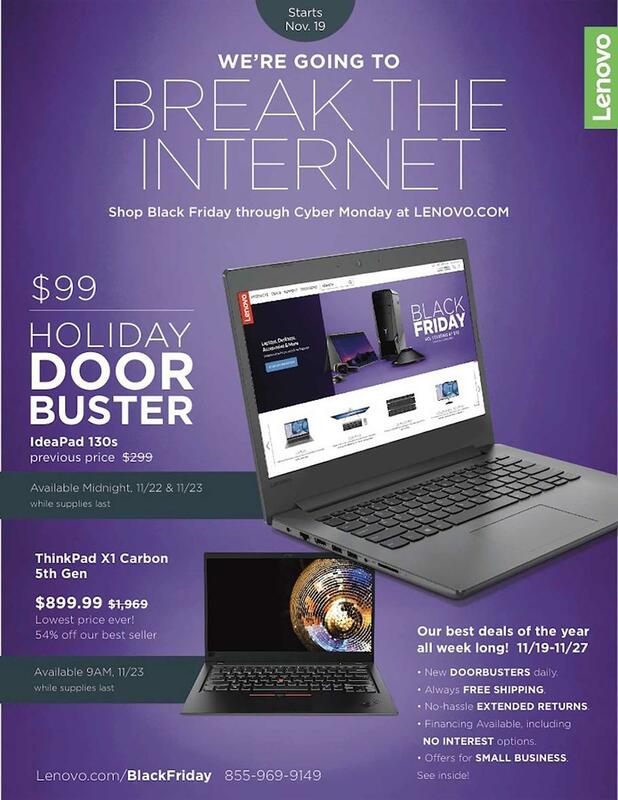 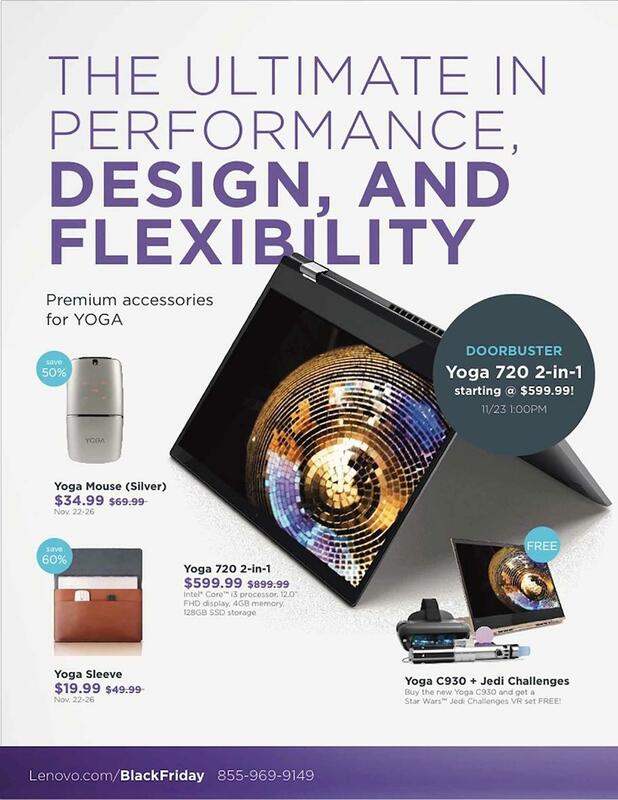 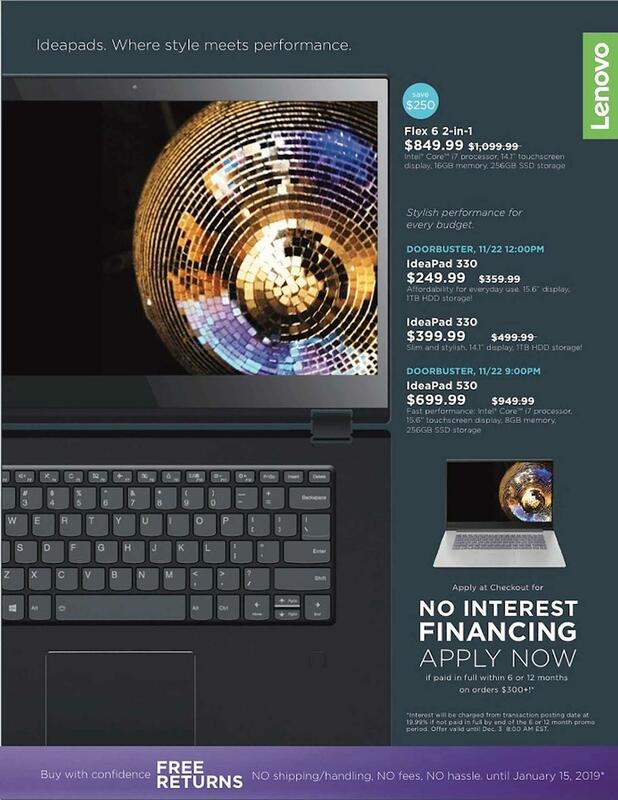 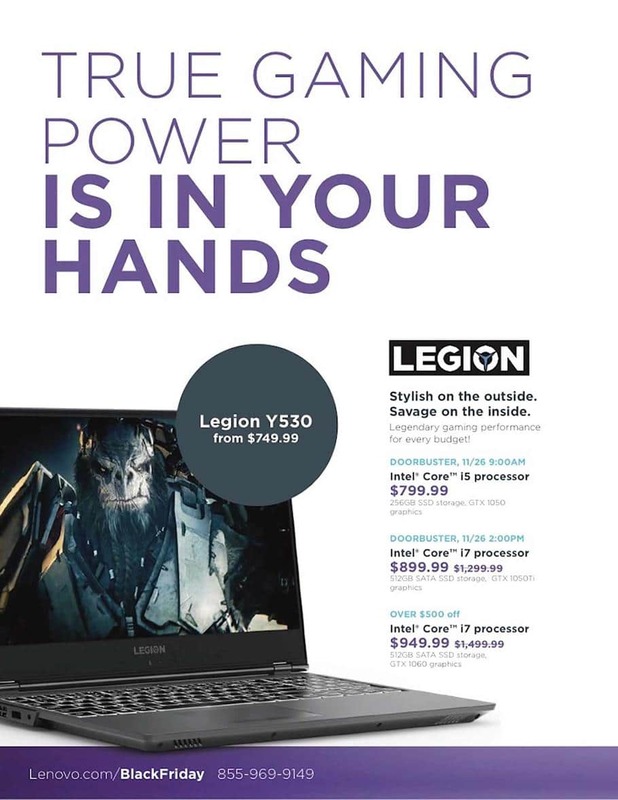 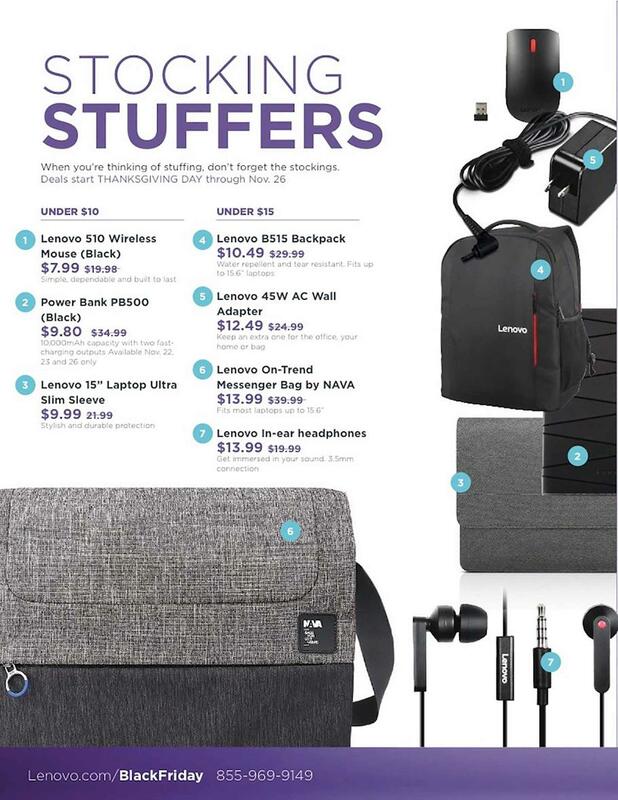 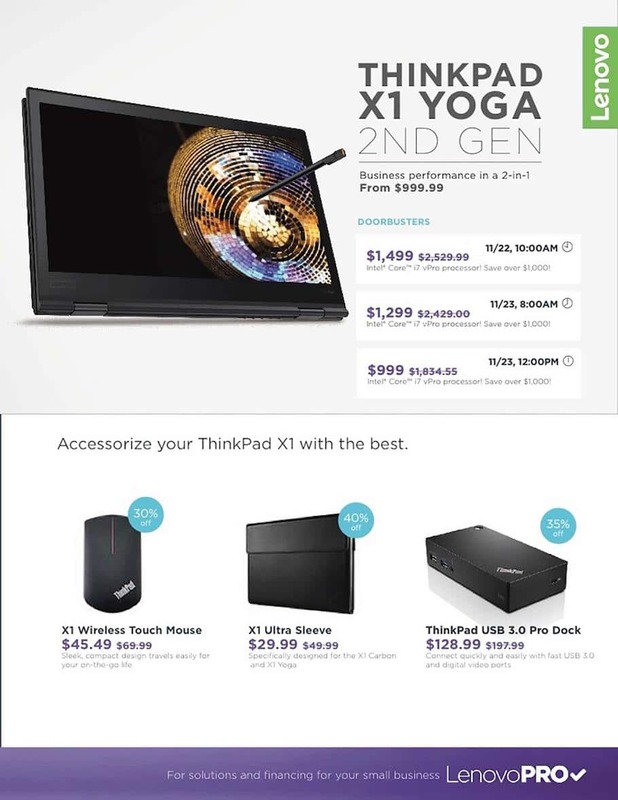 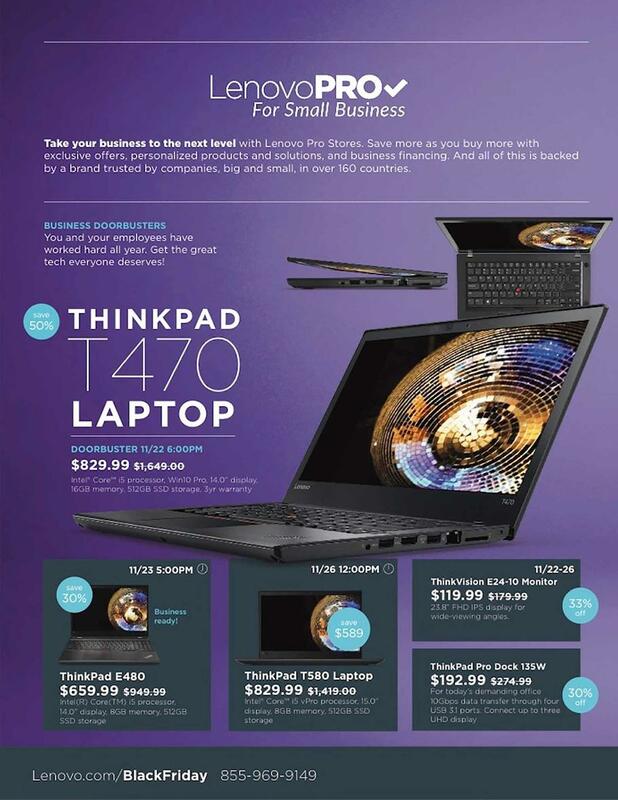 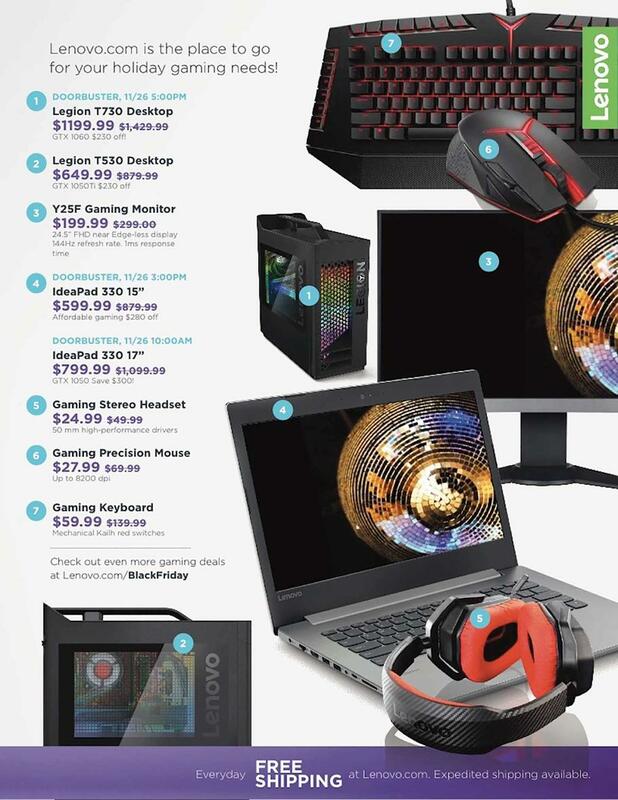 View a sneak peek of Lenovo Black Friday 2018 Ad Sale valid November 19 through Cyber Monday. 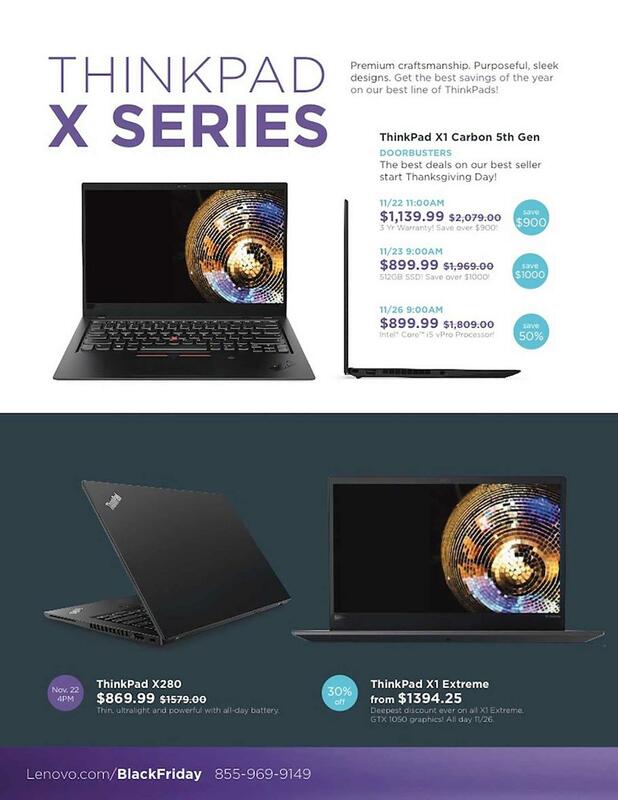 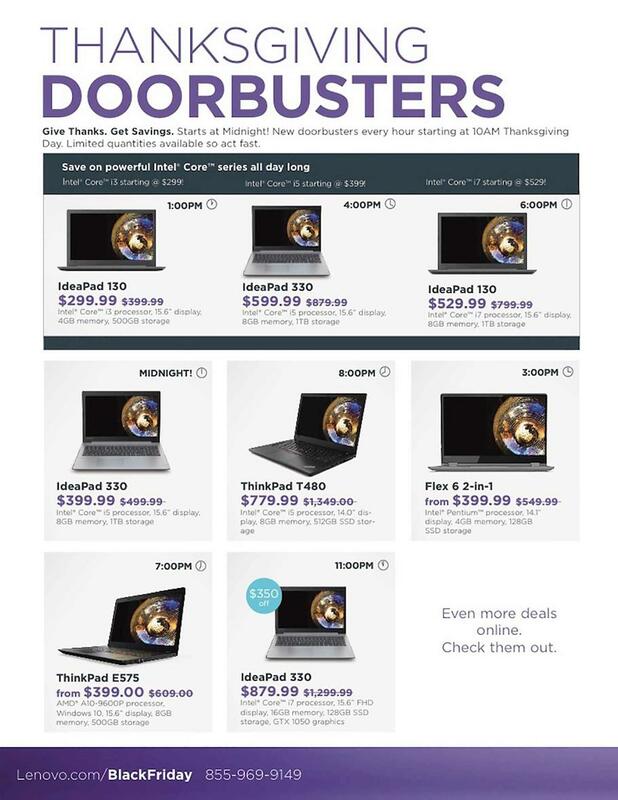 Save with this year Lenovo Black Friday deals on: Lenovo Ideapad 330 15-inch Laptop w/AMD E2-9000, Lenovo X1 Carbon 15-inch Laptop w/Intel Core i7 7500U, Ideapad 330 15″ Platinum Grey Laptop w/ AMD E2-9000, 500GB Hard Drive, Windows 10 Home 64 (81D6000YUS), Flex 15, IdeaCentre 510A (AMD), L23i-18 23-inch Monitor, ThinkVision T2054p 19.5inch LED Backlid LCD and other popular Lenovo items. 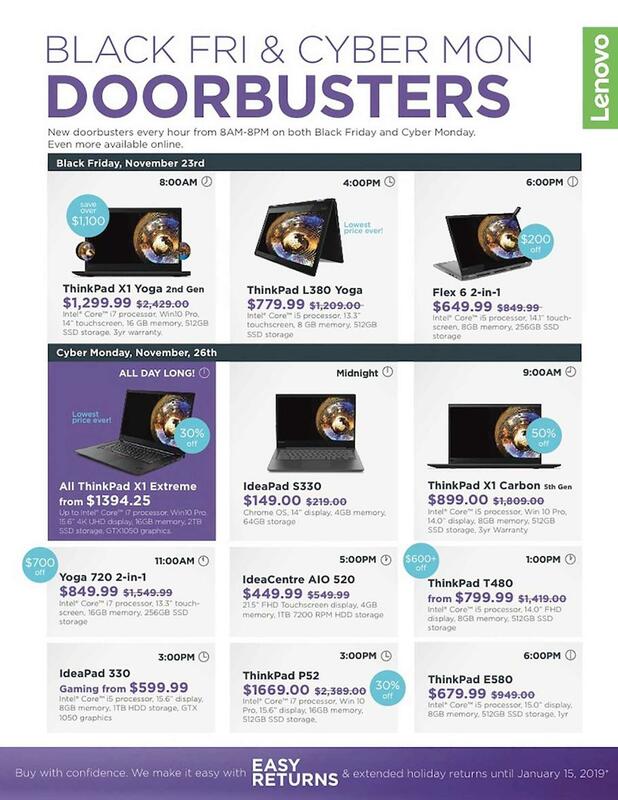 Don’t forget to check this year Lenovo Black Friday deals before heading out to shop.